I was honored to spend this past weekend in Philadelphia speaking at the Be Fearless Summit, an event geared towards inspiring young adults and millennials to be bold and fearless. The event took place at the Lebow College of Business at Drexel University on March 15, 2019 with over 300 young adults and early career professionals. 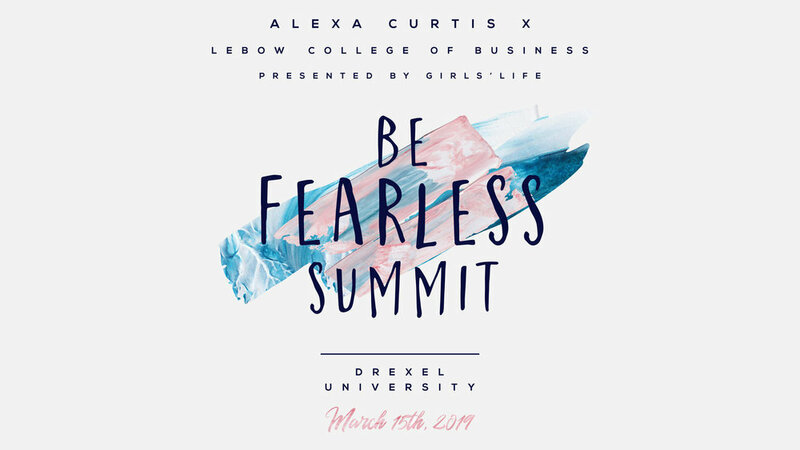 The summit was created and organized by Alexa Curtis, who manages the website and podcast “Life Unfiltered with Alexa Curtis”. She also hosts a show on Radio Disney called “Fearless Every Day with Alexa Curtis”. I spoke on the mental health panel alongside some other mental health entrepreneurs: Gabby Frost (CEO of Buddy Project), Danielle Mohazab (Founder of Happy Pill), and Rachel Gersten (Co Founder of Viva Wellness). Some of the topics we discussed were: The effects of social media on mental health, starting and growing an online brand in the mental health space, and tips/strategies for self-care and the pursuit of happiness. Some other speakers at the event included: Alexandra Curtis (Miss Rhode Island), Amanda Randtuccio (Director of Brand Marketing @ Hulu), Christina Tancredi (COO of MusicChoice), and many more. Huge props to Alexa Curtis for pulling off such an inspiring event! Be sure to check their website to learn more about future summits!